Gerry Anderson shows are full of incredible machines built for flying our heroes all over the world and even to other worlds beyond the stars, but it wasn’t just air and space travel that were souped-up for Anderson’s vision of the 21st Century. 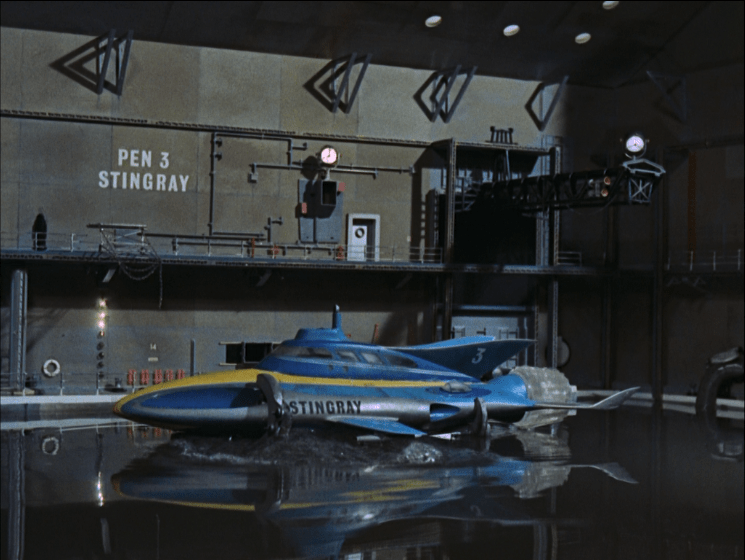 Some of the coolest submarines on television featured in Stingray, Thunderbirds, UFO and many other classic Anderson series. But which of these famous subs is the greatest of them all? Let’s set sail and take a look! “It travels in space, or under the sea, and it can journey anywhere!” Supercar can of course do just about anything, and many of Mike Mercury’s perilous adventures required the marvel of the age to dive to incredible depths. This included sneaking General Sebastian LaGuava back into his country in Island Incident, catching pirates in Pirate Plunder and resucing the crew of bathyscape LU-1 in Trapped in the Depths. More than once, however, Supercar has come face to face with giant monster fish, and in the episode Deep Seven Supercar sprang a leak and almost triggered an acoustic mine! That’s right, the World Space Patrol’s finest ship is capable of travelling underwater. Fireball XL5’s landing craft, Fireball Junior, showed off this ability only once in the television series in the episode XL5 to H2O. 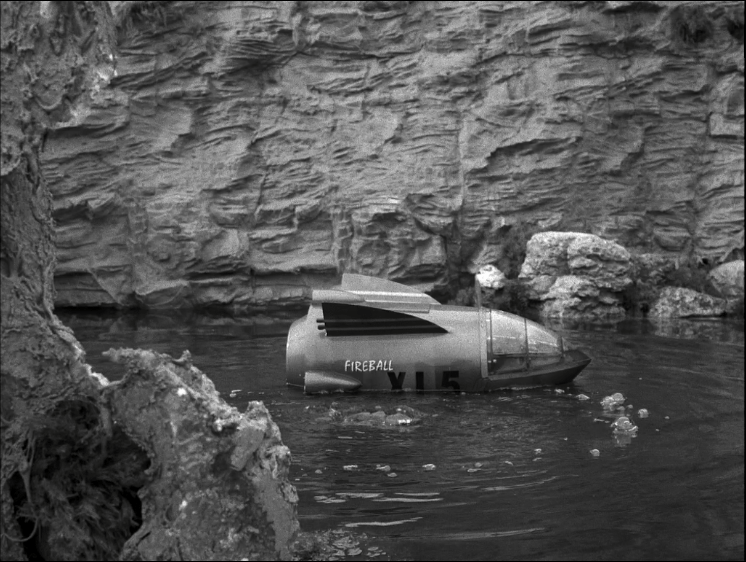 When their solid landing area on the planet Zofeit starts to give way, Fireball Junior sinks underwater. With quick thinking, Steve and Venus engage the underwater systems and navigate the craft through the depths, pursued by a terrifying Aquaphibian creature. Were you surprised that Fireball could travel underwater? Thunderbird 4 may be the smallest of the International Rescue fleet at just 30 feet long, but under the control of aquanaut Gordon Tracy it is a vital piece of equipment for underwater rescues. Usually transported in the pod of Thunderbird 2, Thunderbird 4 can be dropped into the danger zone and dive down to carry out rescues. It can travel up to 160 knots underwater and 40 knots on the surface. The craft is fitted with a number of gadgets including a laser beam, hydraulic rams, demolition missiles and even a tranquiliser device. 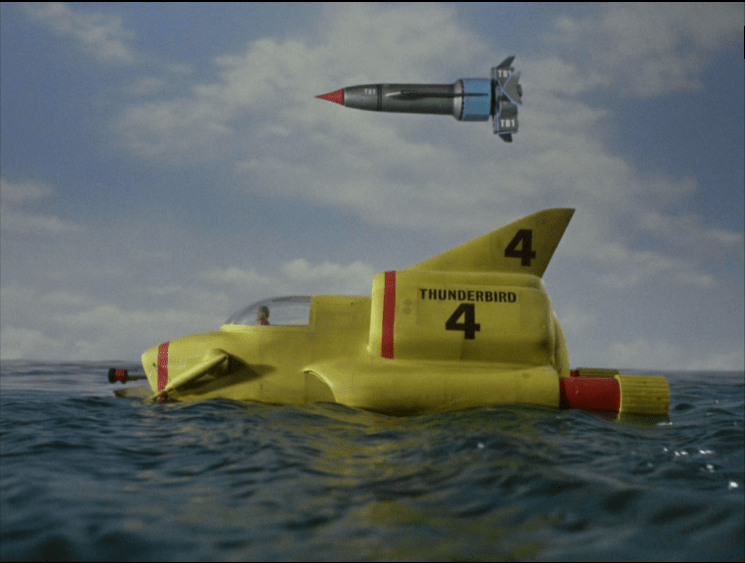 Thunderbird 4 rescued the Martian Probe Rocket in Day of Disaster, the Fireflash in Operation Crash-Dive and took down The Hood in Desperate Intruder. Which was your favourite Thunderbird 4 adventure? UFO is packed full of exciting vehicles including the nuclear powered submarine, Skydiver. When an alien craft enters the Earth’s atmosphere, Skydiver is on patrol to reach the UFO’s estimated trajectory termination and launch Sky One, the nose-mounted supersonic jet aircraft. There were a number of Skydiver subs although we usually only see one in the series. Skydiver 1 is seen to be under the command of Captain Peter Carlin, and later Captain Lew Waterman. The vessel is armed with torpedoes. In the episode Sub-Smash, Skydiver is unable to surface after a UFO attack, leaving many SHADO personel trapped at the bottom of the ocean. 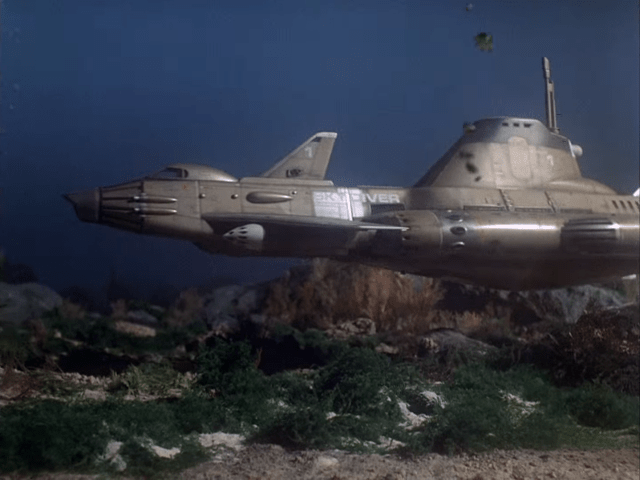 The submarine is an impressive piece of design by Derek Meddings and an essential asset to SHADO in it’s fight against the mysterious aliens. Which is your favourite Anderson submarine? 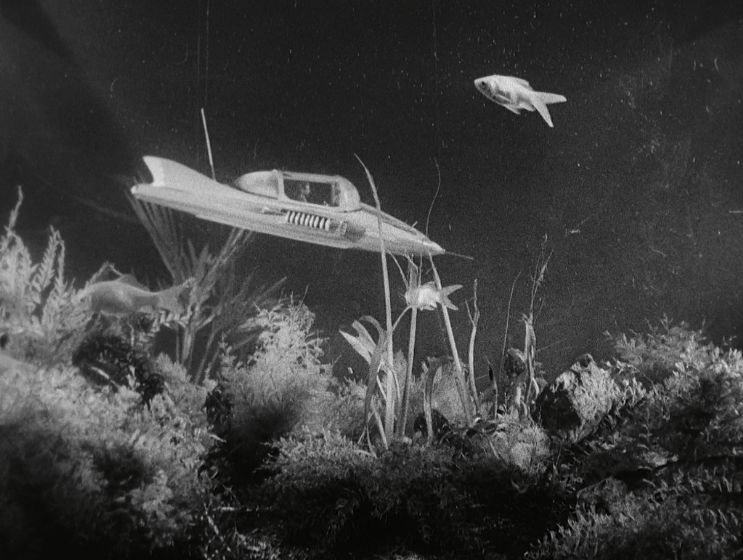 What other underwater craft feature in Gerry Anderson series that we’ve missed out? Are you excited to see the Ocean Storm submarine in the upcoming Firestorm minisode? Leave us a comment down below! Next article Thunderbirds Soundtrack Tops the Charts!